As the US National Park Service marks its centennial in 2016, parks and protected areas worldwide are under increasing threat from a variety of factors, including storms and fires of greater severity, plant and animal extinctions, the changing attitudes of a public that has become more urbanized, and the political pressures of narrow special interest groups. In the face of such rapid environmental and cultural changes, Science, Conservation, and National Parks gathers a group of renowned scholars—including Edward O. Wilson, Jane Lubchenco, Thomas Dietz, and Monica Turner, among many others—who seek to address these problems and, in so doing, to secure a future for protected areas that will push forward the frontiers of biological, physical, and social science in and for parks. Examining the major challenges of parks and protected areas throughout the world, contributors provide answers to a number of key conservation questions, such as: How should stewardship address climate change, urban encroachment and pollution, and invasive species? How can society, especially youth, become more engaged with nature and parks, and are there models to guide interactions between parks and their neighbors? What are appropriate conservation objectives for parks in the Anthropocene? 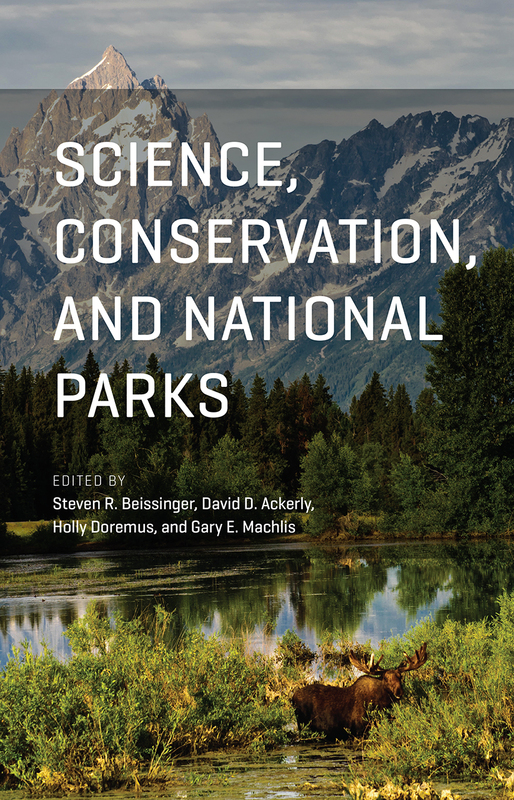 Charting a course for the parks of the next century, Science, Conservation, and National Parks is certain not only to catalyze the continued evolution of US park conservation policy, but also to be an inspiration for parks, conservation, and management worldwide.